When you're out strolling down Meeting Street, you'll encounter this quirky Hat Man that's been painted on Charleston Hat Man shop. Every part of the hat man is made of a hat! 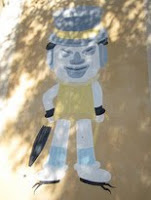 I've never been in the store but love the Hat Man painted on the wall! 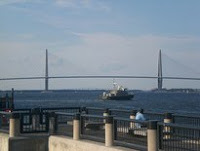 Waterfront Park in Charleston is located right along the Cooper River and spans about a half mile. 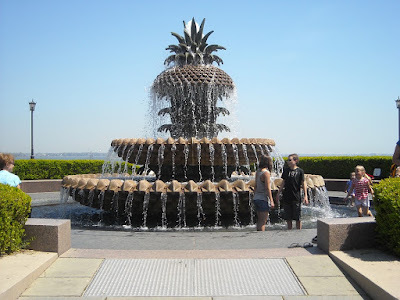 It features Vendue Wharf, which is a wooden pier complete with wood swings to relax on, a water fountain that you'll find kids (and adults) playing in, the "welcoming" pineapple water fountain and lots of grass area where you can kick back & enjoy the view. Charleston Green Fair is held I believe the last weekend of September. The Green Fair is awesome to put it mildly. I love Charleston and all the green eco friendly businesses and efforts! Each year the green fair grows bigger and bigger with more vendors, more events. It's held in Marion Square Park. If it's too far for you to walk to, just call for a bike taxi to get you there! Sweet Grass Roses and baskets are available for sale by people in the market and scattered around the Historic District. Young children can be found peddling their wares in form of sweet grass roses and crosses along with other designs. 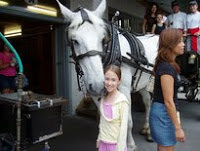 The younger ones have usually learned this unique skill from their parents and them from theirs. The roses, etc. can usually be bought affordably but be prepared to dig in your pocket for the sweet grass baskets. Charleston Seaquarium is located on the water. In fact you can see the Arthur Ravenel Jr. Bridge from there as well. The bridge connects Charleston to Mount Pleasant. At the Seaquairum, I'd suggest planning on being there for at least 2-3 hours. You can explore a variety of displays featuring a multitude of fish, wild life, turtles and other creatures including jelly fish and starfish. 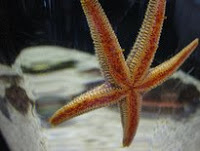 The kids will enjoy the Touch Tank, where they can actually touch stringrays, horseshoe crabs and other sea life. The Seaquarium also does takes part in conservation efforts and educating their guests. 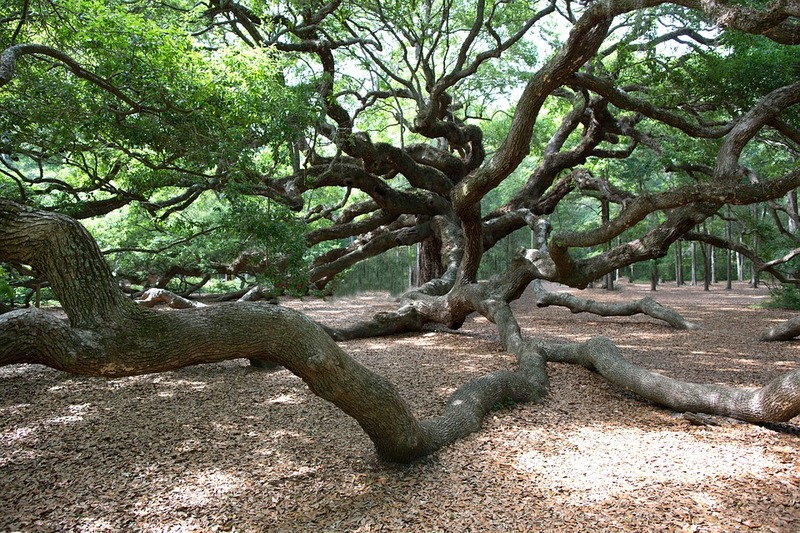 Angel Tree Oak is actually located on John's Island, which is near Charleston, SC. It's supposedly the oldest living thing east of the Rockies. It's approximately 1,500 years old. It's huge, towering 65 feet high and reaches over 160 feet out. 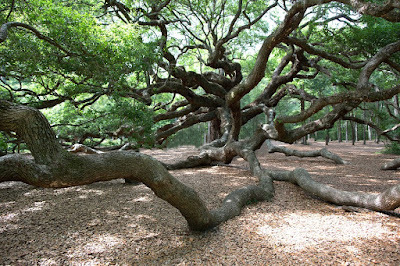 I was amazed at how complex and intricate this oak was when I saw it up close. It's just mind boggling.